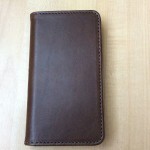 If youre looking for a classic, high-end leather case for your iPhone, you might take a look at Pad & Quills offerings. 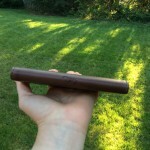 They sent me their Bella Fino model for review. 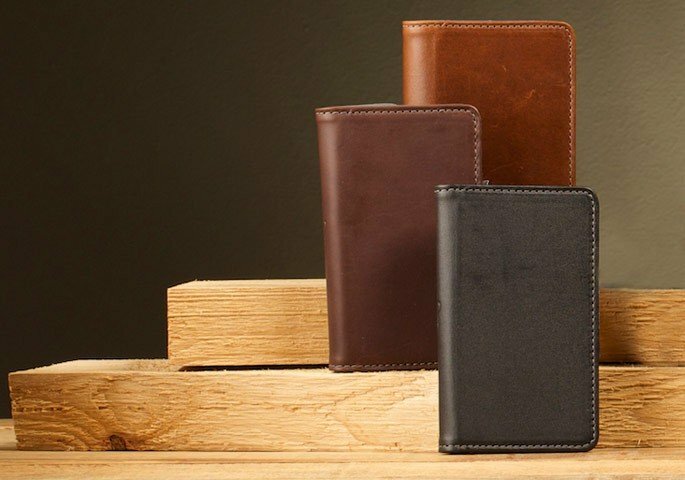 Bella Fino is a high quality, full grain leather portfolio/wallet-style case. It is beautifully crafted down to the last detail. Rather than snapping your phone into the case like most, there is a strong, non-sticky adhesive inside that holds your phone securely in place. Its a bit of a leap of faith to stick your phone to what amounts to a fancy sticker, but it works. The interior, available in several shades depending on your exterior color, is soft to the touch. 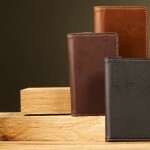 On the wallet side, there are four slots for credit cards or ID and a cash pocket. There is a cut-out on the back so that the rear camera is not obscured. The Sleep/Wake button is easily accessible. 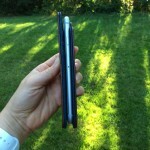 However, the Ring/Silent switch and volume buttons are harder to reach as they are right inside the spine. You can open the folio all the way and fold the left side around the back, which makes all of the buttons easily accessible. 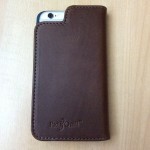 Whether or not this case will be for you depends on how you use your phone. If you generally only tap and type with your dominant index finger and hold the phone in your other hand, this case will be great for you. If, however, you tend to hold your phone with both hands and type with both thumbs, this case might be a little awkward. 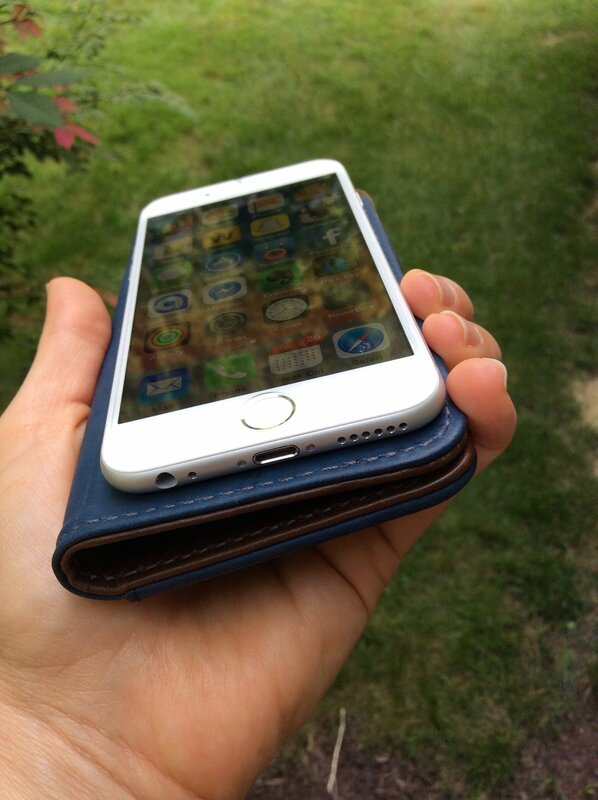 You have to fold the wallet side all the way around to the back, and using the phone this way doesnt feel stable. 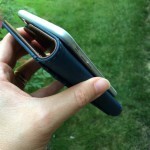 Youll also probably want to fold it back that way to hold the phone to your ear for phone calls. I found that after using the phone this way for a while, the case didnt close on its own completely. 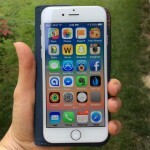 Keep in mind that the adhesive is reusable, so you can take the phone in and out as needed. It might make more sense to do that than to fold the case around all of the time. I would consider this case both fairly bulky and fairly protective. If you dropped your phone within the Bella Fino case, the amount of damage incurred would likely depend on how you dropped it. 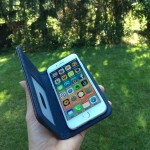 If the case was open, and it fell phone down, your phone is not getting much protection. If you dropped it case down; Id imagine your phone would be fine. 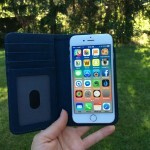 The case doesnt feel heavy, but it does add size and bulk to your phone. At the same time, since the phone is exposed, its clean-lined beauty is there to see every time you open the Bella Fino. This is the kind of case I can see going perfectly with a suit, a dress, a briefcase, an upscale bag. I dont see Bella Fino being shoved into a jeans pocket or tossed into a backpack. 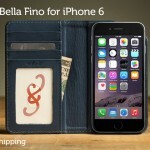 If you are in the market for an elegant case, the gorgeous Bella Fino is a worthy investment. 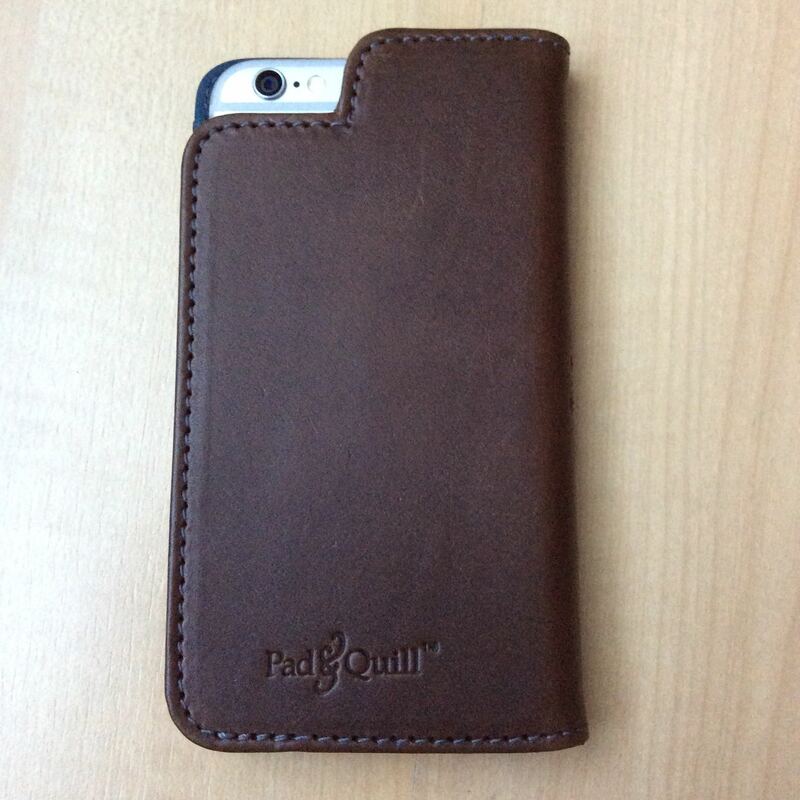 If you like the look but not the particulars, be sure to check out Pad & Quills site for more classy iOS cases and accessories. 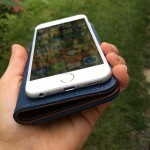 Bella Fino for iPhone 6 is available in Dark Chocolate, Galloper Black, Whiskey Brown for $59.99. 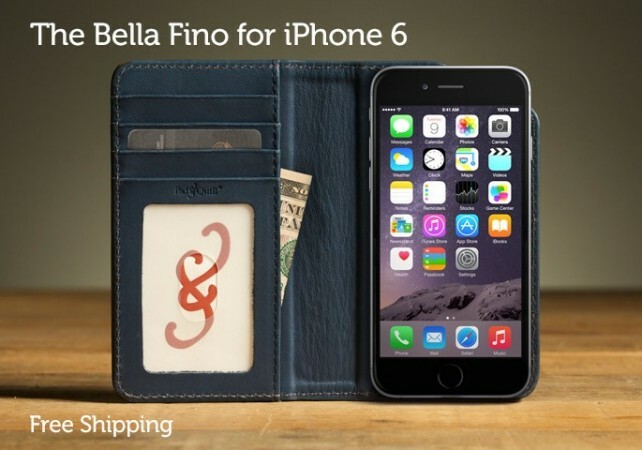 Additionally, Bella Fino for iPhone 6 Plus is $74.99; for iPhone 5/5s or 5c its $49.99.